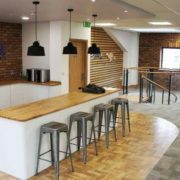 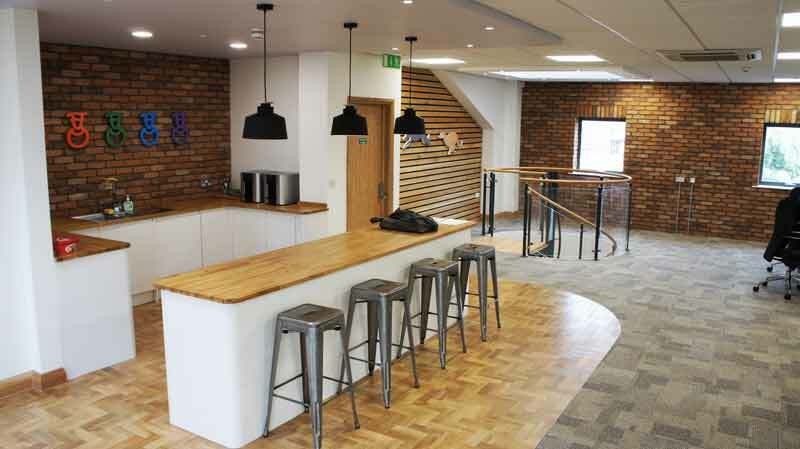 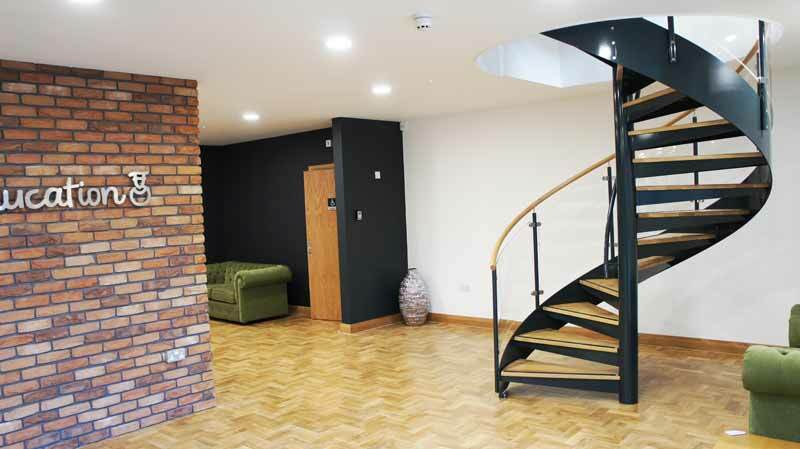 Our client was fitting out an old office block into some very contemporary offices ahead of a corporate move. 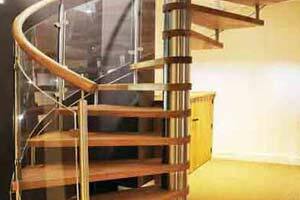 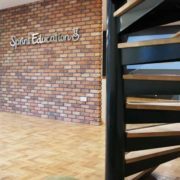 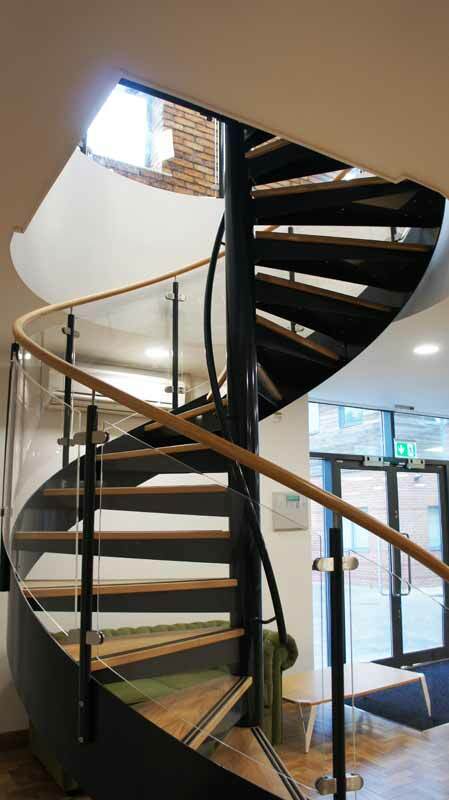 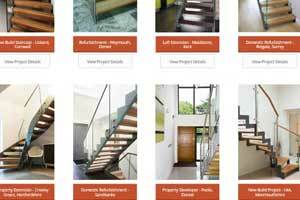 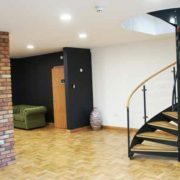 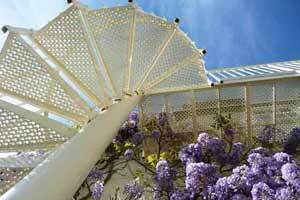 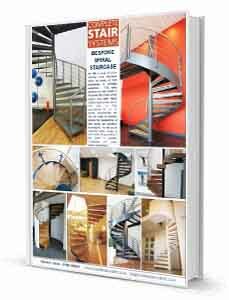 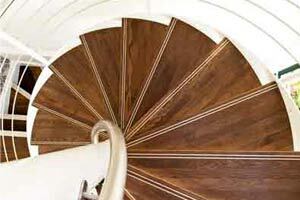 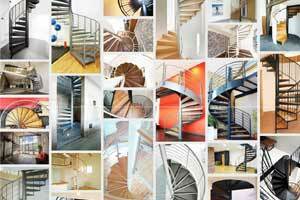 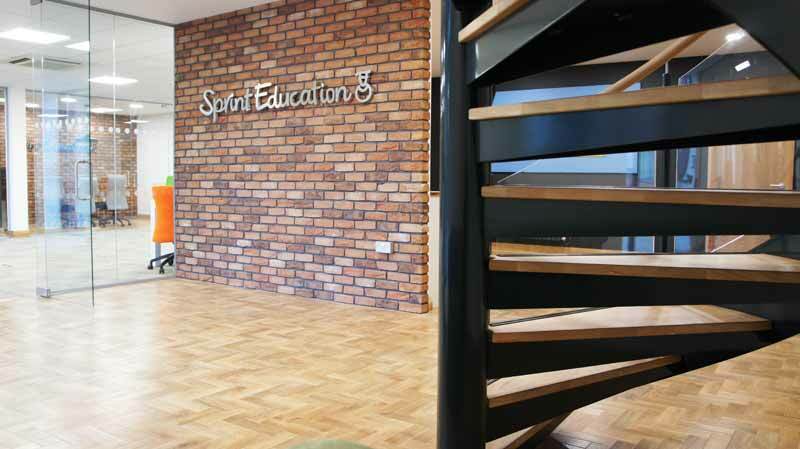 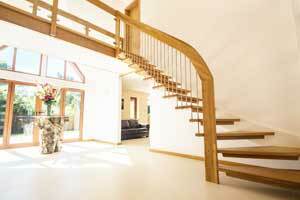 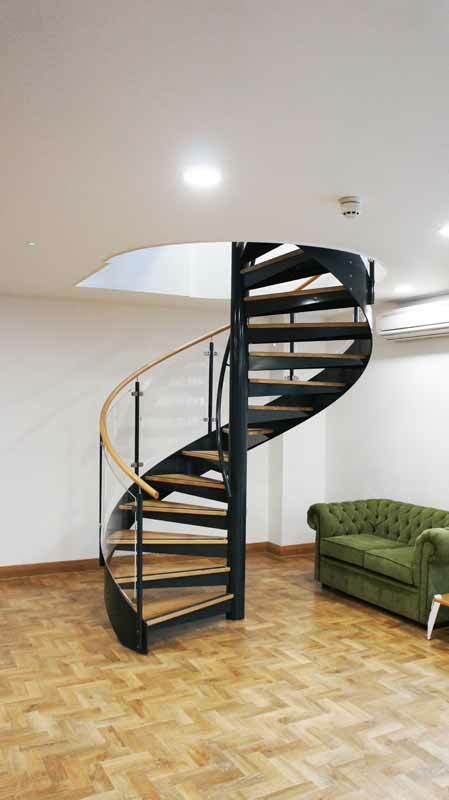 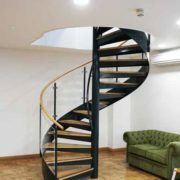 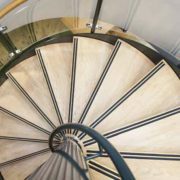 The entrance lobby required a central focal point and a spiral staircase was the perfect solution. 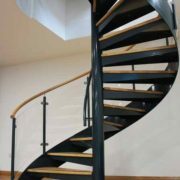 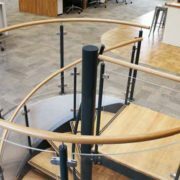 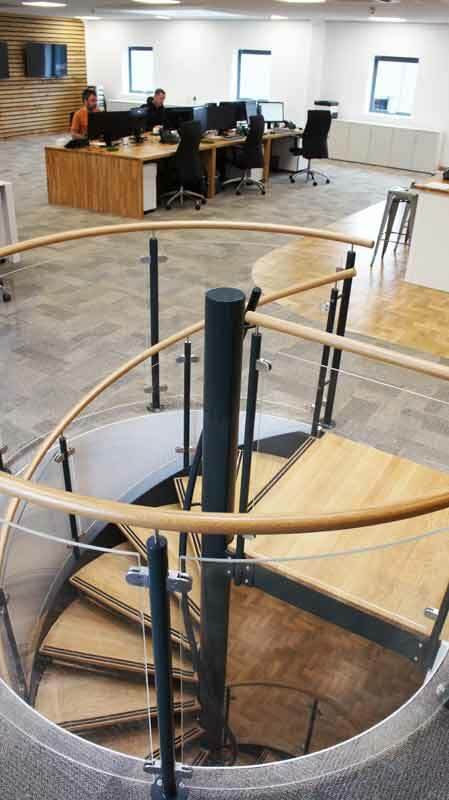 We advised the customer on the size of hole to be formed in the floor and we supplied a 2000mm diameter spiral with a centre column handrail. 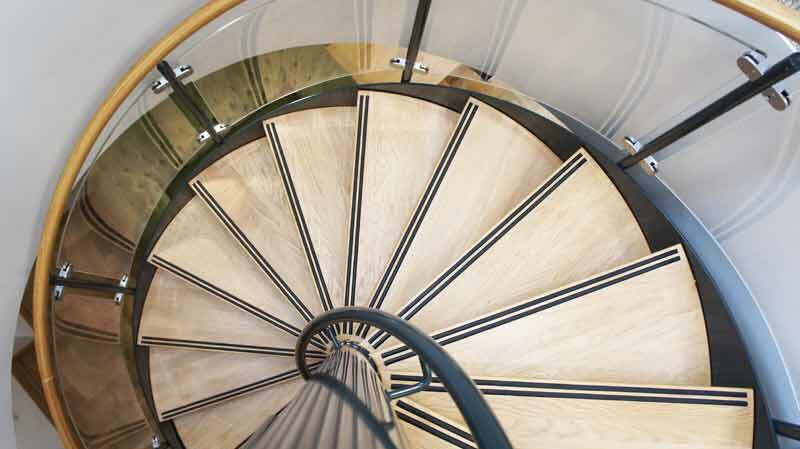 The treads were 30mm solid oak and had a non slip rubber insert to the nosing of each tread. 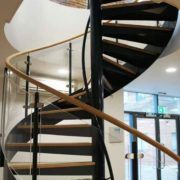 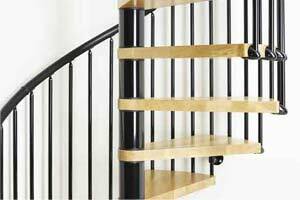 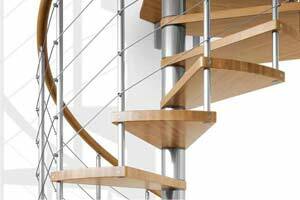 To keep the style light and open, curved acrylic panels were used to infill the balustrade and above this was an oak handrail. 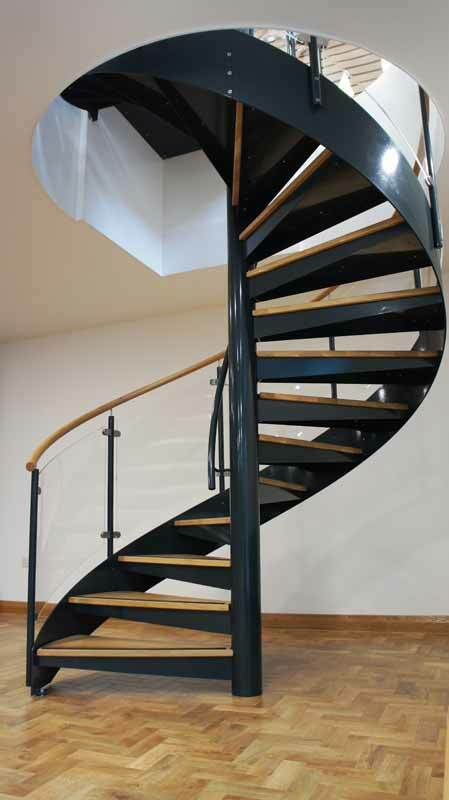 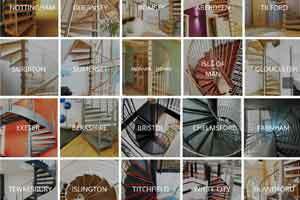 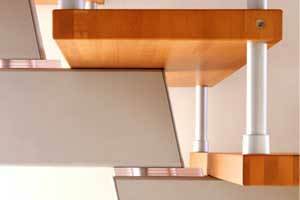 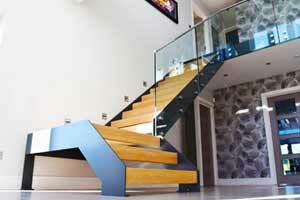 The entire stair was powder coated in the corporate colours.